This is the white CREE LED version of the TX890 lights. 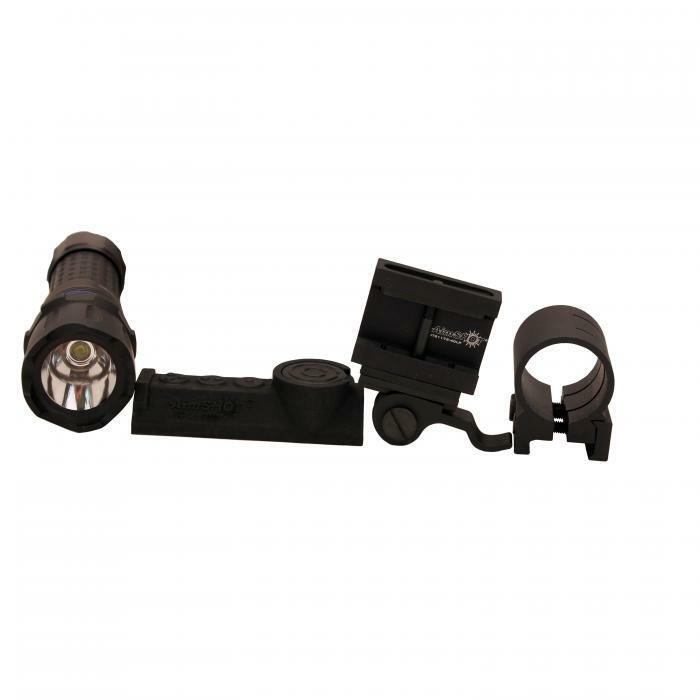 It is the mainstay for the fixed beam wireless pressure switch tactical lights. All TZ lights are sold as a full kit. Everything you need is included with the package. TX890 White CREE LED light, picatinny rail mount, quick release mount, wireless remote pressure switch, and batteries (2 CR123A for the light, 1 CR1632 for the remote).